The first two methods of tracking are used by default: cookie and IP address. 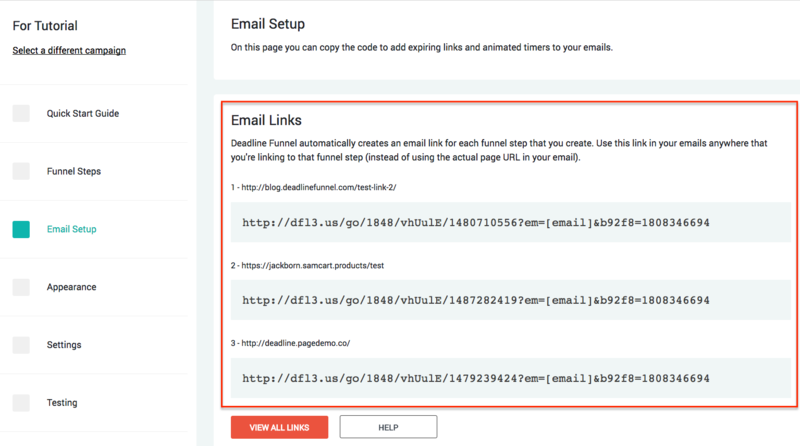 You'll have each lead's email address in your email follow-up system but you'll also need to get each lead's email address into the Deadline Funnel database in order to accurately track using all 3 methods. The best way to have a nearly fool-proof tracking solution is to use either the optin form integration or the API integration to add data in the Deadline Funnel database that matches information stored in your lead's record. You can then use this extra matching information to provide a backup method to find your leads if their cookie or IP isn't found, but you DO have information appended to the links in your emails. Once this email link is clicked, and the email address is stored, if the lead is then on a new device with a different IP address, and he/she clicks another email link that also has the email address appended, then he/she will be found and the records matched together.